SPARTANBURG, S.C. (WSPA) – Spartanburg County deputies arrested an area towing company owner after responding to an auto theft call Sunday night. Christopher Michael Cole, Jr., 43, has been charged with possession of a stolen vehicle between $2,000-$10,000 and malicious injury to property after unlawfully repossessing a vehicle, according to the sheriff’s office. The victims came home at about 10 p.m. to find their fence had been “rammed into” and their blue 2009 Nissan was missing, according to the incident. One of the victims told deputies that she had not given anyone permission to use her car and that her boyfriend, Shannon Black, had the title, according to the incident report. She told deputies that she believed Cole had unlawfully repossessed her vehicle, according to the incident report. 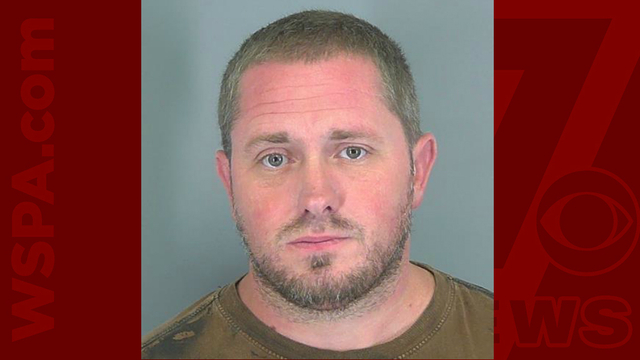 The victim told deputies that her boyfriend was one of Cole’s employees and had been in an on-going feud with Cole about the way he was doing business. Deputies then contacted Cole, according to the incident report. Cole told deputies that he went to their residence and took the vehicle. Cole also told deputies that the victims had stolen the vehicle and created a fake title. According to the incident report, deputies told Cole that he needed to bring the car back to the residence or he could face charges. Cole then reportedly hung up on the deputy, the incident report said.